We're proud to announce that The Action Figure Blues Podcast has been named #1 in Feedspot's "Top 5 Action Figure Podcasts You Must Subscribe and Listen to in 2019". We continue to be humbled and amazed that anyone else would like listening to our weekly(ish) ramblings, let alone listen regularly for six years and nearly 350 episodes! Many thanks to Feedspot for the recognition, and a huge thanks to everyone that keeps coming back and contributing. As long as you keep enjoying the shows, we'll keep making them! P.S.While we've got your attention, be sure to check out our new Collector Community on Facebook - we'd love to see you there! Episode 338 of the AFB Podcast is live at iTunes and is now available for direct download! Download and subscribe to the podcast at iTunes now! If you don't use iTunes or another podcatcher, you can download Episode 338 here now! Click on the link to listen, or right click to save the file! The podcast will always be available from the “Podcast” tab here - but if you can subscribe and give us positive ratings at iTunes, that will help us greatly! Episode 337 of the AFB Podcast is live at iTunes and is now available for direct download! Download and subscribe to the podcast at iTunes now! If you don't use iTunes or another podcatcher, you can download Episode 337 here now! Click on the link to listen, or right click to save the file! The podcast will always be available from the “Podcast” tab here - but if you can subscribe and give us positive ratings at iTunes, that will help us greatly! 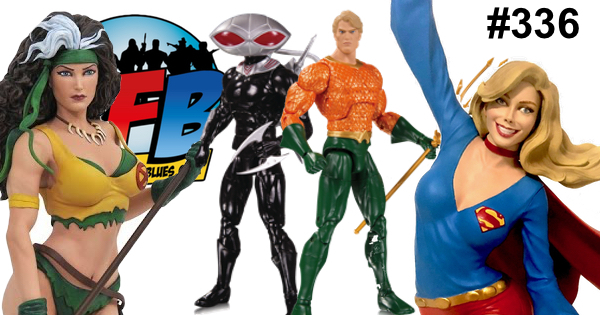 Episode 336 of the AFB Podcast is live at iTunes and is now available for direct download! Download and subscribe to the podcast at iTunes now! If you don't use iTunes or another podcatcher, you can download Episode 336 here now! Click on the link to listen, or right click to save the file! The podcast will always be available from the “Podcast” tab here - but if you can subscribe and give us positive ratings at iTunes, that will help us greatly!